GIS projects have previously been viewed primarily as technical exercises, but it is now evident that the success of GIS projects depends as much on organisational issues as upon technicalities. GIS projects have profound socio-organisational contexts which must be taken into account if such projects are to succeed. 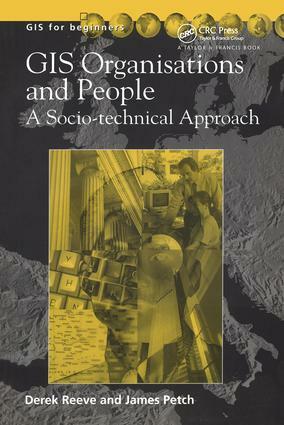 The books presents an overview of the `human' side of GIS, both individual and organisational. GIS Organisations and People draws on material from the fields of mainstream business administration and information systems and builds a picture of how important they can be to GIS development and describes the implementation strategies which will allow their introduction. This unique textbook will meet the needs of an introductory module on the human aspects of GIS at advanced undergraduate and Master's level. It will equally be suitable for GIS professionals whose technical knowledge may be considerably greater than their appreciation of organisational strategic concerns.